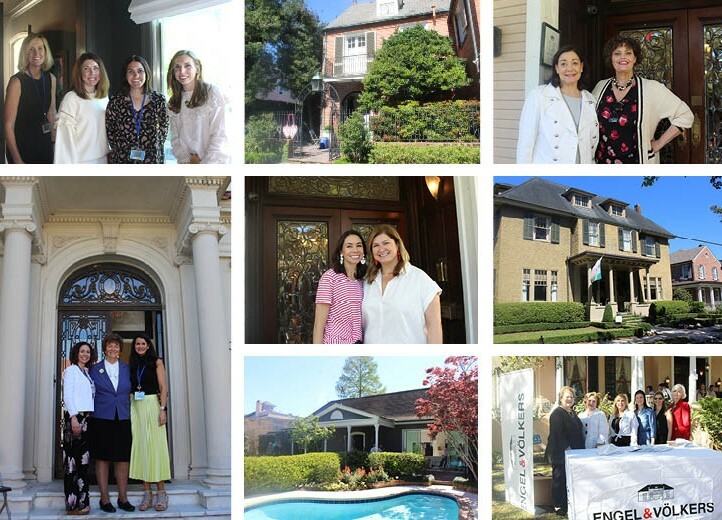 The Rosary Sacred Heart Alumnae Association hosted its fourth Home Tour, Sacré Coeur Tour de Maisons, on March 22. Co-chaired by Jennifer Lane Gilly '01 and Courtney Stumm '01 and sponsored by Engel and Volkers and Renaissance Publishing, the tour showcased six homes in the Audubon neighborhood Uptown, where approximately 350 tour-goers saw captivating kitchens and gathering spaces, heirloom treasures alongside modern pieces, and a multitude of design innovations by homeowners passionate about home improvement and restoration. "These homes boast a great mix of styles making it a truly unique tour," said Courtney Stumm, co-chair of this year's tour. "It was a wonderful opportunity to open the doors of these six magnificent homes in such a distinctive neighborhood." Homeowners included Lynn and Mike Flynn, Cristina and Joe Guarisco, Katie and Marc Levy, Sarah and Spencer Ott, Margaret and Tré Roux, and Jackie and David Weill. Proceeds of the tour benefited the Rosary Sacred Heart Alumnae Association, including funding of the Sr. Shirley Miller, RSCJ Scholarship at the Academy of the Sacred Heart.